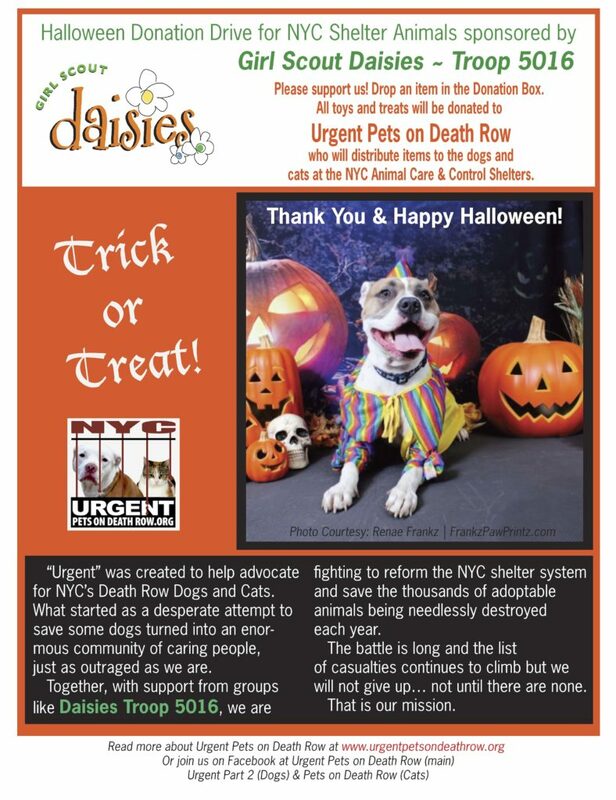 Designed flyer for the Daisy Troop #5016 & Urgent Pets on Death Row to promote a fundraiser. 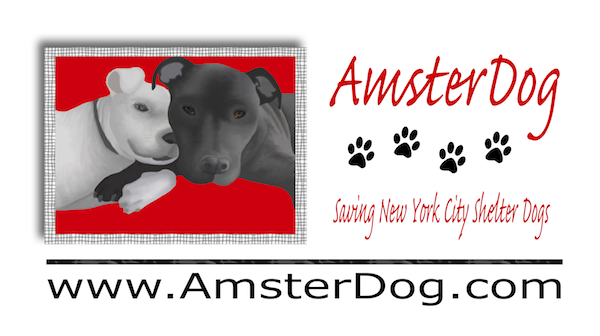 Designed 40″(w) x 24″(h) banner for AmsterDog Animal Rescue for trade shows and exhibits. 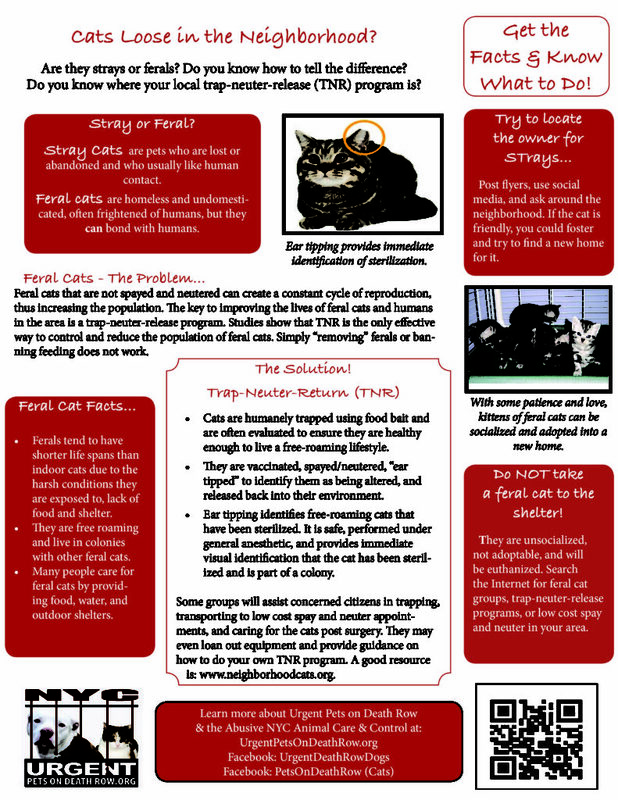 Designed awareness flyer for 501(c)3 organization, Urgent, about Trap, Neuter, Release for feral cats. 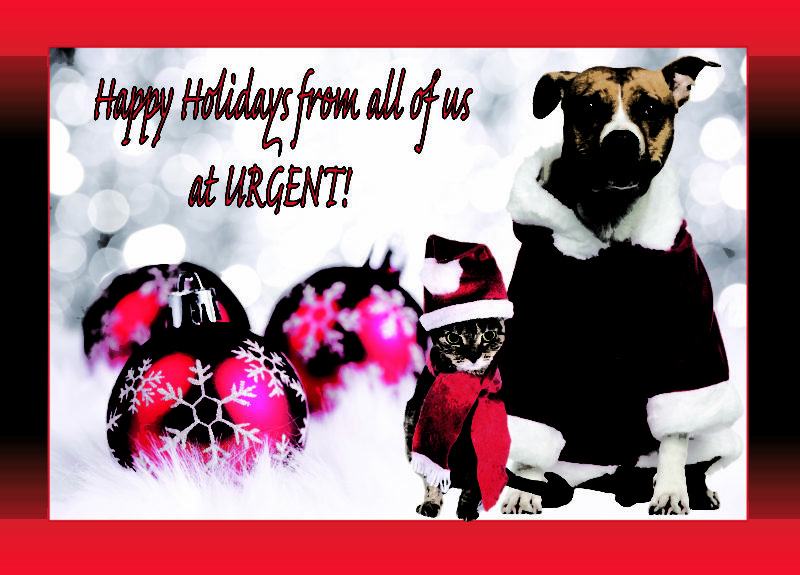 Designed two-sided Urgent holiday postcards for donors and volunteers. 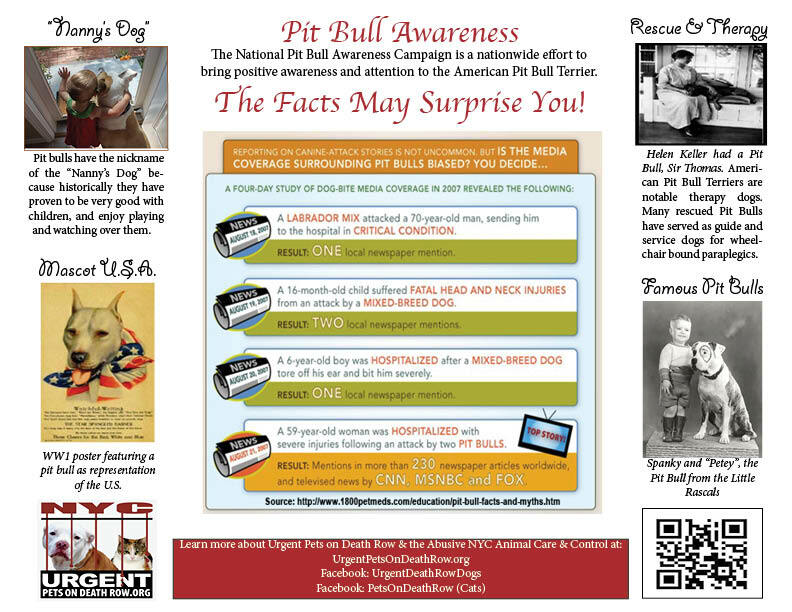 Designed awareness flyer for Urgent, 501(c)3, for a National Pit Bull Awareness event. 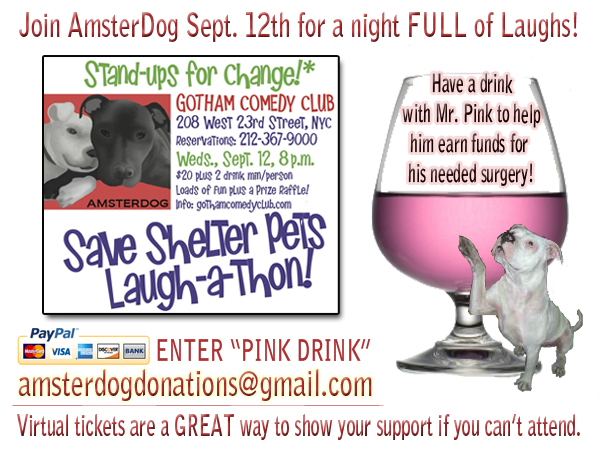 Designed flyer for AmsterDog Animal Rescue, 501(c)3, for a fundraiser event at Gotham Comedy Club. 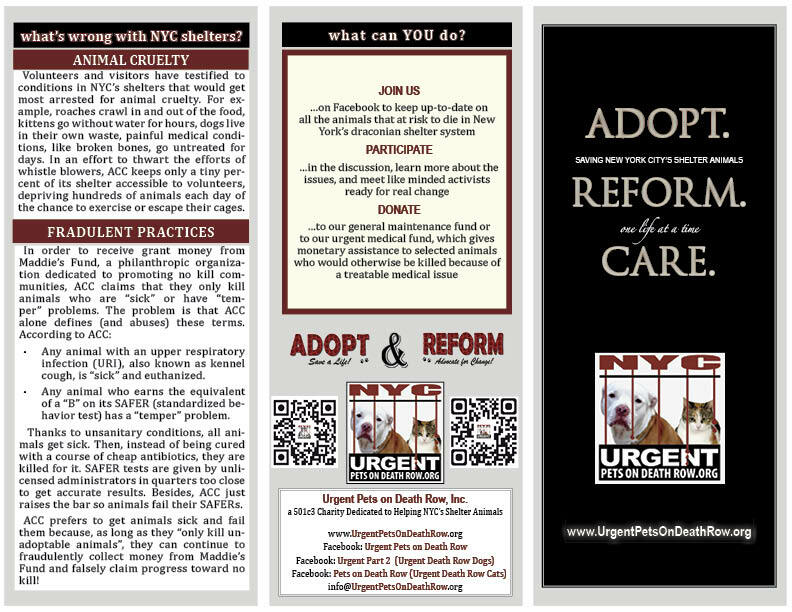 Modified design of an existing Urgent brochure to reflect branding and the merger of two organizations into one.